Could you tell that I like to take pictures? I’m not sure why, but I always have. This little hobby started wayyyy back in the seventies, when my high school newspaper needed a photographer. “Pick me! Pick me!” They did. I even majored in photography in college. 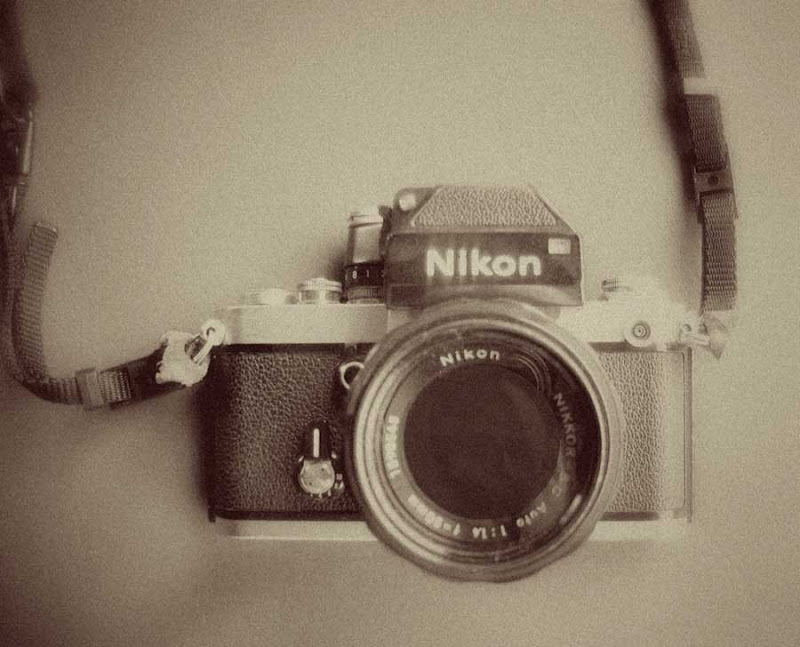 I bought my first real camera in 1972, the year before my freshman year at the Rochester Institute of Technology - this Nikon F2. I've been camera shopping for some time now. My first camera was an Olympus OM10 and I loved it. I think I wore it out. Then we bought an Olympus Camedia digital when they first came out a few years back. 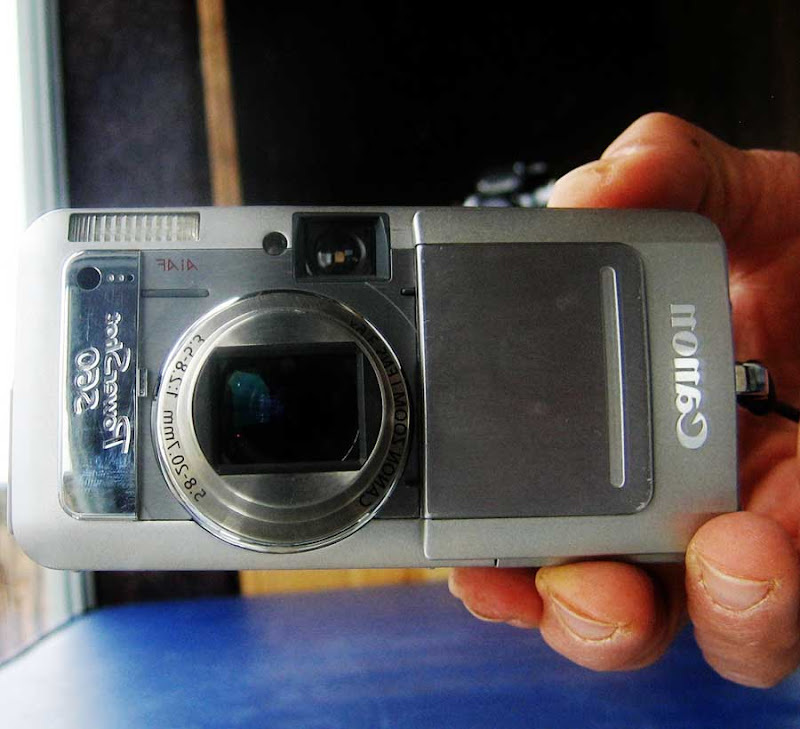 It's a small point and shoot and works sometimes, but it eats batteries like candy and usually locks up right when you want to take a "special" picture. So, I've decided it's time to get a new one. Now, the problem is, which one? I never really paid attention to cameras, and their different variations, until the past couple of months. I just have a little cheapie (about $180) camera, and it does NOT take good photos of anything that is moving...so why did I buy it, with kids and horses??? Anyway, I plan on investing in one that better fits my needs, within the next couple of months. Congrats on your new purchase! Oh, new camera, I could use one of those, I think my cannon POS just died. Can't wait to hear how life with this new one goes for you. I can't wait to see you on the antiques roadshow, LOL! Pony Girl, I went with the D80, with the 18-135mm zoom Nikkor lens. I wanted a Nikon because my F2 has been so reliable, and the D80 seemed like a camera I wouldn't grow out of but not more than I need. I hope I'm right - it should arrive in about a week. If you guys can't tell the difference, I'll be really bummed! I was going to come and ask if it was a Nikon D80...beat me to it haha! I don't think you'll be disappointed. I started with a Kodak Z740 about 3 or 4 years ago, and it was a good point and shoot camera, helped me to learn a lot about photography. It's a medium size and I was sick of missing lots of photos so I went and bought a AU$100 Sony Cybershot to keep in my handbag for those unexpected shots. I hate it. It takes ages to focus, often doesn't focus on what you want, and like you said, I'm lways arguing with it. But it does what it should for the purpose I bought it for, and it even fits in my jeans pocket! So I'm happy about that. A few months ago my Kodak fully packed it in. It had been playing up for a litting while, it wouldn't let me use manual (PSAM I think it is?) mode, it'd skip back between the others. That was fine, but then it refused to take the shot 4/5 times. So, I decided not to buy another point and shoot, and went all out and bought a DSLR. 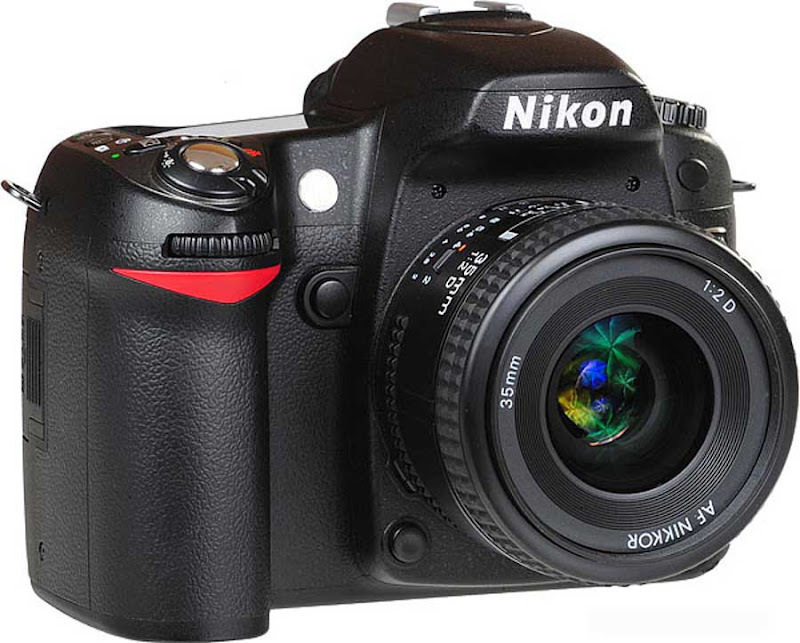 It was a toss up between the Nikon D80 and the Canon 40D. I got the Canon and I'm in love. I was shocked at how big it is in real life when I first saw it, but after a few months it seems like a normal size. I just can't wait to take it out to events, its soo quick and takes sooo many photos on burst. Thanks for the tips on Cameras! I hate my Olympus. Always wants the flash on, red eye is the worst!! no action photos, and eats batteries 4 at a time! I must take time to read the book that comes with the next one--maybe I would like mine better if I knew what the available settings meant. Can't wait to see the new photos. For all us photography geeks out here, I found this website when looking for DSLR info - this guy posts camera reviews, how-tos, you name it about digital photography, and his site is very searchable. I've been using the Canon EOS Rebel, it's easy to use, it's hard to put my thumb in the picture, it's a point and shoot, because that's how good of a photographer I am and it's what I can handle.I'm sure you will be taking great pics with this as soon as it gets there. Thanks for your pix and tales. My evolution: Argus C3, Minolta(? ), Pentax SpotMatic SLR, Nikon 8008 SLR, Nikon D50 body on which my 8008 lenses function with a 1.5x factor.